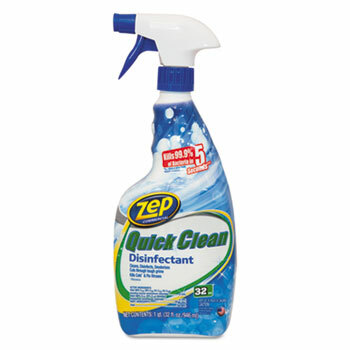 Defy the dirt with a quick-clean disinfectant that kills 99.9% of bacteria in just five seconds. Deodorizes as it cleans. Convenient cleanser cleans, deodorizes and disinfects in one easy step. Kills cold and flu viruses. Cuts through tough grime for a thorough clean.